American bobsledder Elana Meyers Taylor missed out on a gold medal at the 2014 Sochi Olympics by one-tenth of a second. She and her brakeman, Lauryn Williams, led after each of the first three runs, but hit a wall on the fourth run, which slowed them just enough to give up the lead. That missed chance drove Meyers Taylor in the four years since. She won gold at the 2015 and ’17 World Championships, the most important bobsled competition outside the Olympics, and entered the 2018 PyeongChang Games firmly in medal contention. 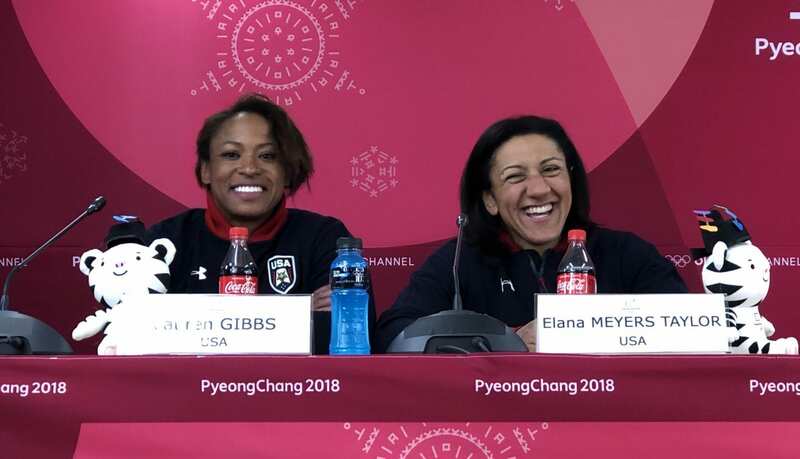 Meyers Taylor and her new partner, Lauren Gibbs, trailed only Germany’s Mariama Jamanka and Lisa Buckwitz after the first two runs Tuesday, and the third run Wednesday. They held the lead after their fourth run, with only Jamanka and Buckwitz left to ride. The Germans eclipsed the American by seven-hundredths of a second. Meyers Taylor took silver again, by an even slimmer margin than she did four years ago. But Meyers Taylor noted a huge difference between the Sochi silver and the PyeongChang silver. Prior to winning the two silver medals, Meyers Taylor picked up a bronze as a brakeman in the 2010 Vancouver Games. And after three Olympics, the 33-year-old still may not be done. She said she hopes to compete again in 2022. Because there’s still work for Meyers Taylor to do, considering she’s never competed in this sport for her own glory.